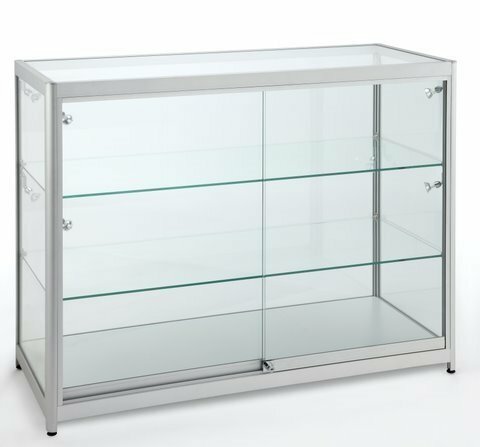 Aluminium framed full glass display counter with 2 x shelves and heavy duty adjustable feet. Sliding tempered safety glass doors and storage with locks. Can be stand alone or combined with other units to suit all requirements. Supplied with halogen and LED lamps. Unit is assembled and will be delivered via pallet. 600mm deep x 900mm high with 2 width sizes available: 1000mm and 1200mm.